LaPlaya Beach and Golf Resort rests on a spectacular pristine stretch of white sands amid the natural legendary beauty of Naples Florida. Casual sophistication defines our guest rooms and suites with a blend of wrought-iron furnishings-luxurious fabrics-spirited colors-not to mention breathtaking ocean and bay views. The resort boasts Lanai Guestrooms with Direct Beach Access and One Bedroom Suites with Panoramic View of the Gulf of Mexico. BALEEN Naples restaurant overlooks the beach with a few tables right in the sand- offering exceptional entrees all throughout the day. To brighten up the night-the intimate beach fire pit and BALEEN Bar feature a fantastic wine-by-the-glass program as well as extensive list of martinis and classic cocktails. Baleen: A Florida fine dining experience. Toes in the sand Florida dining takes place as a classic interior fine dining restuarant flows out through grand doors to a terrace with tables overlooking the sweeping beach. Gulf Lawn: Overlooking the Gulf of Mexico, the Gulf Lawn caters to weddings, cocktail receptions or intimate dinners. Vanderbilt Ballroom: Beautiful ballroom featuring panoramic windows overlooking Vanderbilt Bay. Opens onto Vanderbilt Terrace. 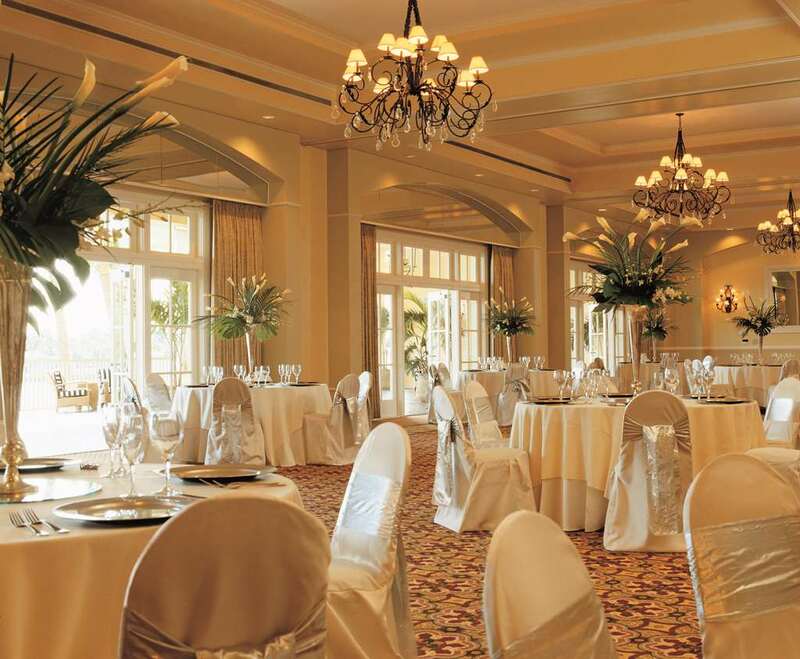 BayView Ballroom: Beautiful Ballroom featuring panoramic views of Vanderbilt Bay. Opens up to BayView Terrace. North Beach: Stunning location for your next wedding. Panoramic View of the Gulf of Mexico. Located in world renowned Naples. LaPlaya rests upon a beautiful stretch of white sandy beach. Conveniently LaPlaya is just minutes from world class shopping and restaurants as well as a short drive from the Everglades National Park and Ft. Myers International Airport.